The last reservation of this item will conclude on May 8. For rentals that require shipping or a pickup at a non-headquarter location, please select a later date for your arrival. Headquarter offices are the only locations that can accept a same-day reservation, as transit time is not calculated in this date. 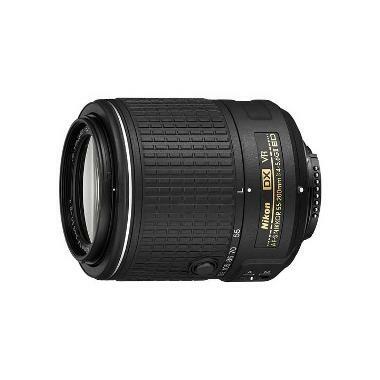 The Nikon 55-200mm f/4-5.6G ED VR II DX AF-S Lens is long enough for most wildlife and sports shooting but is so compact you can carry it all day. It is designed specifically for crop sensor cameras, such as the D7200 or D500. The equivalent focal length is 82-300mm, which is short enough for portraiture and long enough for arenas, ceremonies, and safaris. Pair it, optionally, with the Nikon 18-55mm f/3.5-5.6G VR II and you have enough focal coverage for any shooting situation with less bulk than your average mid-range telephoto. The VR II image stabilization allows shutter speeds up to 4 stops slower than would otherwise be possible before camera shake becomes apparent within the image, which is handy for low light situations. This lens is ideal for travelers and beginning photographers shooting sports, stadium events, and wildlife.